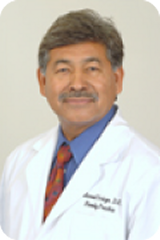 Metroplex Medical Centres was founded by Dr. Manuel Griego Jr., the first practice "Griego Family Medical Centre" was opened more than 30 years ago in Oak Cliff. He founded the company with an emphasis on providing a caring, comprehensive, and proactive approach to primary care. Since then, we have cared for generations of residents and visitors working and living in the Downtown Dallas vicinity. Dr. Griego's philosophy and core values have remained an integral part of our philosophy and that is why we take great pride in having a small practice feel providing you with individualized care and attention you deserve. To provide you with prompt and high quality total health care through preventive, diagnostic, and therapeutic health services in a friendly, compassionate, and relaxed atmosphere using the best resources available. Metroplex Medical Centres is very active in the community. For information about some of our activities, please click here.